Town Planning Scheme No. 4 consists of the scheme text and a set of zoning and special control area maps. The TPS is to be read in conjunction with the Local Planning Strategy, Local Planning Policies and the Deemed Provisions (as set out in the Schedule 2 of the Planning and Development (Local Planning Schemes) Regulations 2015). Town Planning Scheme No. 4 is being updated by a series of Scheme Amendments to Scheme 4 in accordance with the Local Planning Strategy and Scheme Review (Audit) Report. The picture below shows how the TPS maps have been separated over the City of Armadale area. Refer to the documents linked below with the corresponding map number. Landscape and bushland protection areas and buffer areas of potential environmental hazard impacts. Development (structure planning) areas, development contribution areas and environmental conditions. The City's Town Planning Scheme (TPS) outlines zoning and defines what land uses/development may and may not be permitted on a property or particular locality. It is a statutory document accompanied by a map (indicating various zones) that the Planning Department uses to make development decisions and/or recommendations to Council or the Western Australian Planning Commission. The zoning and provisions relating to the use and development of land are set by Council and State government in a Scheme Review process that involves public review and opportunities to comment on a draft Scheme or Scheme Amendment before it is gazetted as a legal document. Locations and areas which are endorsed to undergo future rezoning amendments are usually identified in Strategic Planning reports prepared by Council including the City's Local Planning Strategy, and/or Strategic Planning reports prepared by the State Government including Perth and Peel @ 3.5 million – South Metropolitan Peel sub-regional planning framework, Directions 2031, Economic and Employment Lands Strategy and Southern River / Forrestdale / Brookdale / Wungong District Structure Plan. The procedures for rezoning/amending the TPS are strictly regulated and often lengthy with extensive consultation requirements and approvals required by the Western Australian Planning Commission (WAPC). Rezoning proposals are also subject to assessment by the Environmental Protection Authority. Applications to rezone land or amend the Scheme or for Structure Plan approval must address requirements of the Planning and Development (Local Planning Schemes) Regulations 2015, the City's Local Planning Strategy and Town Planning Scheme No. 4 and Local Planning Policies. Applications must be accompanied by appropriate environmental, land suitability/capability and servicing reports and the appropriate fee. Where a rezoning application is associated with a Structure Plan for the subdivision of land, the application is also to be accompanied by the appropriate Structure Plan fee. The Planning Schedule of Fees and Charges can be found on the Planning Information Sheets, Forms and Fees page. An application to rezone land or amend the Scheme, where it has been properly prepared, will be assessed and considered by Council on its merits. Council may determine to seek Environmental Protection Authority (EPA) and public comments on the proposal by initiating an amendment to the Scheme or, in the case a proposal which lacks sufficient merit, may resolve to not proceed with the application. The purpose of Development Contribution Plans (DCPs) is to provide for equitable cost sharing arrangements for common infrastructure required to facilitate development within an area, commonly referred to as a Development Contribution Area (DCA). Cost contributions are only required as a result of subdivision and/or development of land within a DCA. The DCAs are shown on Special Control Area (SCA) Map 3. Part 6B of Town Planning Scheme No.4 (TPS No.4) enables the City to prepare DCPs that facilitate the cost sharing of specific items of infrastructure across a number of landowners in a DCA. 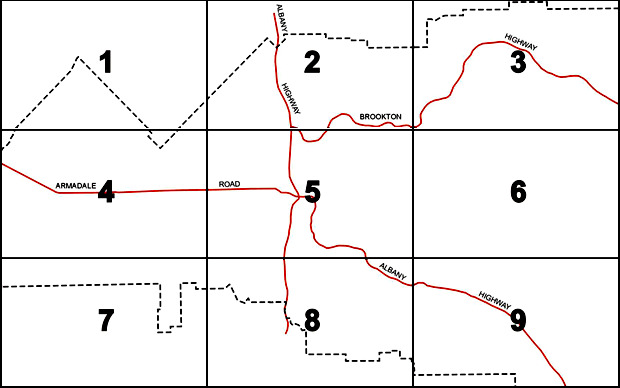 The purpose of Part 6B is to identify areas requiring cost contributions that relate to subdivision and development, to provide for equitable sharing of costs, to ensure that cost contributions are only required towards common infrastructure required resulting from the subdivision or development of land in the DCA, and to coordinate the timely provision of infrastructure. Part 6B also includes the provisions for when a landowner’s liability to contribute arises, and the general principles and objectives of a DCP that the City must uphold. DCPs are adopted under Schedule 13 of TPS No.4 and set out the particular infrastructure to which cost sharing arrangements relate and the cost sharing arrangements which apply. The attached Infrastructure Cost Schedule calculates the cost contribution per lot for Development Contribution Plan No. 3. Refer to North Forrestdale Development Contribution Plan No.3 page for further information.